Cheshire Sportives take in some of the most beautiful countryside scenery in the North-West, here are some of the best .. Living in the North-West, I often enter sportives in Wirral, Merseyside, Lancashire and Cheshire. This list of Sportives in Wirral & Merseyside covers events in those areas but I also wanted a list of Cheshire sportives, so here we are. Many of the sportives listed below are ones that I have either done or plan to do this year, so they come from personal experience. Cheshire is beautiful and with the exception of one or two hills, is predominantly flat. For cyclists like me, who are not huge fans of climbing, this makes Cheshire a great place to do longer sportives. When I say flat, a number of these sportives include routes with upto 10% gradients and one or two include the infamous 27% Mow Cop, so perhaps not strictly flat. However, more experienced cyclists will know what I mean. 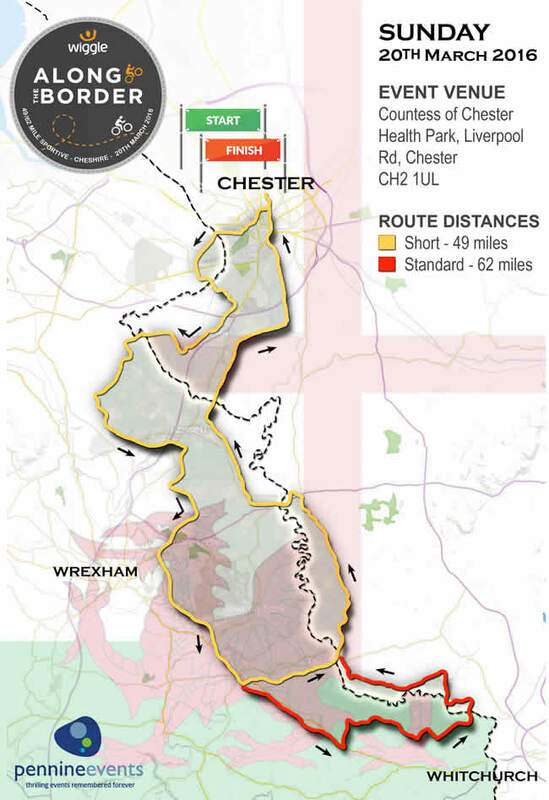 Having said that, Cheshire is a good area to do your first sportive or to move from smaller distances of circa 25 miles to medium distances of 50 miles, before adventuring into the realms of longer 75 miles or even the infamous Century. If you are thinking of cycling this milestone, this article on How to Train for a Century Bike Ride may be helpful. In 2018 there were 16 sportives in Cheshire but at present, there are fewer currently planned for 2019 but I suspect I may have missed a few so please feel free to add a comment in the box below and I’ll update the article. 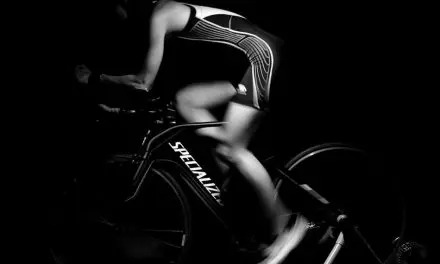 For those sportives that I have already ridden, I will add a personal review of the ride and for those I am yet to complete, I’ll add post ride comments. 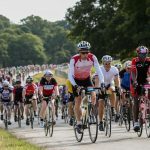 For those of you who are new to cycling events, this guide on How to Prepare for a Charity Bike Ride will help you to get ready for your event. Climbing: 1,500ft, 4,100ft, 5,500ft Ride Profile: Rural. Challenging. The Cheshire Cat Sportive is one of several to include the infamous Mow Cop killer mile and is pretty icon in the Cheshire cycling calendar. It was the first really challenging sportive I did and as such, I have a soft spot for it. There are three distances to choose from and for the past couple of years, I’ve completed the middle distance (82m). 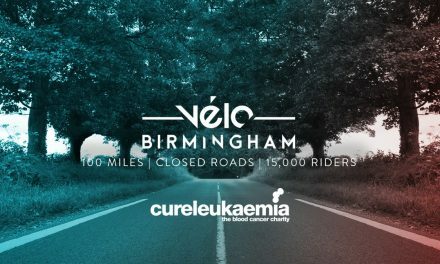 However, it’s about time I did the longer 108-mile route, in part because I should be challenging myself and in part because it’ll be good practice for other Century sportives, like Velo Birmingham. Previous rides have been blighted by cold, wet and windy conditions but this is all par for the course with early season sportives. Previous Kilo to Go Cheshire Cat events were held in February so it’ll be interesting to see the weather in March. Kilo to Go were good organisers and the event is one that should be at the heart of all Cheshire cyclists’ sportive calendar. Organisers KTG have unfortunately ceased trading but the nice chaps at Velo29 have picked up the mantle to ensure this famous sportive lasts. Past events attracted around 3,000 cyclists so it’s one to target. As you can see from this elevation, the challenge is very much in the first 65km (40m) and whilst there are some steeper climbs, they are manageable. The first ascent is definitely the hardest, Mow Cop is a mile-long hill, which ramps up to 25% gradient, right at the very end. Not sure what the weather will be like in March but the views are pretty special. The second climb (Biddulph Moor) is gentle and you’ll be at the top before you realise it. Climbs three and four are quite short (Meerbrook and Wincle) but you will see 10% gradients for some aspects of the climb. Once you pass the 65km mark, it’s all straight forward cycling from there. Cyclists leave Queens Park in Crewe and after a few miles of town centre traffic, you head towards Shavington and then East to Alsager and onto Mow Cop for the first climb at 35km. The next 30km is the hardest as this section contains the four climbs at Biddulph Moor and Rudyard. After Wincle, you’re pretty much riding on the flat. From this point, cyclists head West towards Northwich, cycling through Sutton, Lower Withington and Goostrey on lovely cheshire country lanes. Traffic builds a little as you circumnavigate Northwich but it gets better by the time you reach Mouldsworth. The ride back to Crewe passes near Tarporley, Little Budworth and Wetterhall, all of which will be familar to regular Cheshire cyclists. The ride into Crewe is on busier A-roads but organisers try to keep you on the quieter roads where possible. The Tour de Manc Sportive began life just a few years ago when Danny Franks came up with the idea of a tough sportive that took in all ten of the Greater Manchester boroughs. In this first year (2015), Danny rode an 80m route on his own to raise money for charity. The following year he was joined by friend Tony Rubins and together, Tour de Manc Limited was formed, with the aim of raising money for charity whilst setting a challenging sportive for local cyclists. One of the things I admire about this Sportive, is that the vast majority of the money raised, goes to charity with just the necessary costs (such as event insurance, essential printing and materials manufacture) being deducted. Tour de Manc has two routes, the Full Manc is 100-miles, whilst the Half Manc is 100km. However, don’t be fooled into thinking that these are easy routes just because they are in and around the Manchester area. The 100km route covers over 5,000ft of climbing and the longer 100m route has a whopping 9,000ft elevation gain. I rode the 100km route in 2018 and found it remarkably tough, especially on the East side of Manchester as the route brushes the Peak District. The hot weather also played a major part but all things considered, it was very well organised and supported, and will definitely be on the list for this year. Organisation seems to be well managed and takes a professional approach. Support includes 4 free feed stations, free nutrition and a whole host of other freebies at the finish; tea and cakes, free sportive photos, a medal for all finishers, post ride massage and a freebie bag. 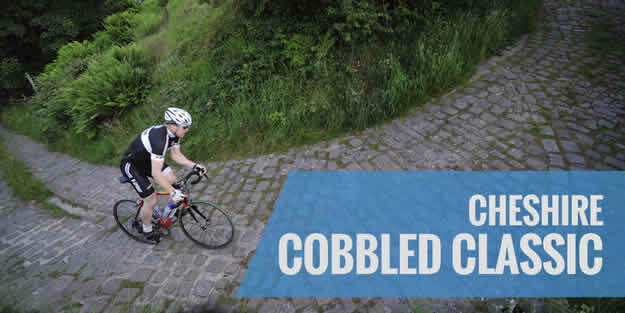 This Cheshire Cobbled Classic sportive is a tough one. It’s not particularly long at 100 km (62m) but it has over 5,200 ft of climbing and includes 12 cobbled sections, five of which are over 20% gradient. Like I said, tough. For those that like things really tough, the organisers are adding a 100-mile option from this year. Details are pretty limited at present but it’s safe to say that this is only for the hardy cyclist, or nutters. As you may have expected, this event is inspired by the Tour of Flanders – the Belgian one-day Classic. Perhaps one of the most challenging parts of the course is the 45% maximum gradient (yes, forty-five), Corkscrew. This is a steep, twisting, cobbled road whose 45% maximum gradient makes it the steepest climb in the country. The eastern part of the Cheshire Cobbled Classic is located within the Peak District National Park and takes in the spectacular Goyt Valley and the Fernilee and Errwood reservoirs, before heading south and west via a further five reservoirs and Macclesfield Forest. The event website has a good description of the beauty of this route, along with some pictures of the numerous cobbled section. It certainly isn’t a sportive for a novice and even some more experienced cyclists may wince at parts of this ride but this is certainly going to give you a challenge. The Bike Chester Sportive is organised by Iconic Cycle Events, which are the same people behind Cheshire Pedalthon. As for Bike Chester, there are two marked rides of 50m and 80m, which take in the best scenery of Chester and the surrounding Cheshire countryside. Entrants benefit from a timed record of the ride, fully signposted routes with a back up route map and GPS files. The event will have support from medical staff and finishers will receive a medal. I’ve published an in-depth article on the Bike Chester Sportive which has full details of this excellent event. One of the cool features of the LCL Liverpool to Chester event is that you get to ride through the tunnel under the Mersey. It’s quite a surreal feeling, especially if you are used to driving through either of the tunnels. This is a well organised event and one that is well attended (over 3,000 cyclists). There are three primary distances; 25m, 50m, 100m. 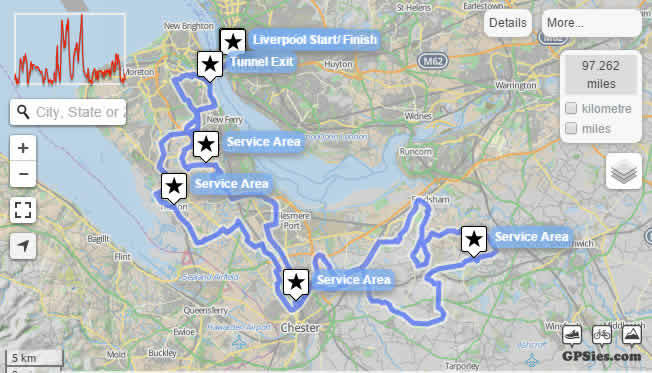 The mid distance is one that I have done for the past few years and it is basically a straight ride from Liverpool to Chester, riding through the minor roads of the Wirral. The halfway point is a stop off at the Countess of Chester, before returning to Liverpool, using similar secondary roads across the Wirral Peninsular. This year, I’ve decided to do the longer route, which shares the 50m route through the Wirral but then extends a further 50m out to Delamere Forest. This is a great day out and a ride that I book as soon as entry opens, which both secures my place and gives me the early bird price. Climbing: 1,565ft / 4,580ft Ride Profile: Rural. Country Lanes. The clue’s in the title of the Evans Cycles Cheshire 100 Sportive. It’s organised by the national cycle chain, Evans Cycles, and covers a distance of either 100km or 100m. This Cheshire sportive starts from the scenic grounds of Arley Hall, near Northwich, and winds its way through local country lanes, passing both Dunham Massey Deer Park and Tatton Park along the way before returning back to the finish. The lighter route covers a distance of 100km (62m), which in itself is a good length, especially if you are returning to fitness or perhaps looking to stretch yourself. For riders looking for a more challenging route, the 100-mile route is not only longer but heads for some more challenging terrain on the edge of the Peak District (for that read hills). There’s a chance to test your legs on the climb up through Macclesfield Forest before starting to head back past Alderley Edge and then a relatively fast and flat run in across the Cheshire Plains to the finish. The 100km route is pretty flat at 1,565ft but the more challenging route not only sees additional distance but adds some extra pressure on the legs by climbing 4,580ft. I think this is pretty light for a Century ride but obviously it very much depends on each individual. For me, the main decision on this sportive is the cost. Both Evans Cycles and Wiggle price their sportives at £35 to £40 which for standard sportives like these, it pretty high, but like so many things in life, it’s about choice. I’d like to do this one but the price puts me off. The Cycle Retreats Sportive is new in 2019 and at present further details aren’t available, they’re not even on their website yet. Climbing: 1,750ft / 3,200ft Ride Profile: Rural. Country Lanes. The Manchester 100 is another easy-to-understand sportive, it’s in Manchester, and it’s over 100-miles or 100 km. Whichever distance to ride, you can genuinely say that you’ve done a Century bike ride. Starting in Wythenshawe Park, on the south side of Manchester, riders head south-west through Timperley, passed Altrincham and on towards Knutsford. For Cheshire cyclists, these will be familiar roads as they are popular with many cyclists in this area. After Knutsford, you’ll head west, passing Northwich before heading into Delamere Forest, which is very pleasant scenery but awful roads so beware of the potholes and the moss covered roads, making riding quite slippery at times. The full 100-mile route has just 3,200ft of climbing so there’s nothing to trouble most experienced cyclists but the few hills on the course are situated around this part of the course, ending in a short climb at Beeston Castle. From here it’s east to Nantwich and then north to Middlewich before heading home via Mobberley and Manchester Airport. The entry fee (£20) is very reasonable, although it doesn’t include any food at the feed stations (food can be purchased). If you’ve ridden the Cheshire roads before, it’s unlikely you’ll see anything new on this sportive and given that there are < em=""> of sportive in September, I’d probably recommend doing something else. Coming just two weeks after the Rise Above sportive, the Cheshire Cycling Sportive is another climbing challenge. This ride covers 65 miles and includes 5,500 ft of climbing, which comes after the halfway marker. It also includes Swiss Hill and it’s rather steep cobbled sections. The route travels through many well-known Cheshire towns and villages, including; Knutsford, Mobberley, Alderley Edge, Prestbury, Bollington, Pott Shrigley, Windgather Rocks, Goyt Valley, Cat and Fiddle, Blaze Hill, Swiss Hill and Wizard Hill. For the competitive cyclist there are a few prizes on offer, such as King of the Mountains, Best Sprinter, Lanterne Rouge and strangely, Best Fancy Dress. This looks to be a challenging event, the route itself looks good and takes in some excellent parts of Cheshire. However, this is one for cyclists who like a challenge, especially those that don’t mind hills. The Seashell Trust Sportive is a late summer ride and whilst it won’t be blazing sunshine (is it ever in Britain), the weather should still be warm. This is a new sportive and one which I’m pleased to say sees the whole of the entry fee go towards the Seashell Trust charity. It’s a non-competitive cycle sportive with 4 routes to chose from; 50km, 75km, 100km, 170km. Entry fee is £30 for the shorter route and £35 for the other routes. This sportive takes place in September, so ride fitness should be high, giving me no real excuse for not doing the Century, although the 9,160ft of climbing may be challenging. The 50km & 75km routes head South and to the West of Macclesfield. 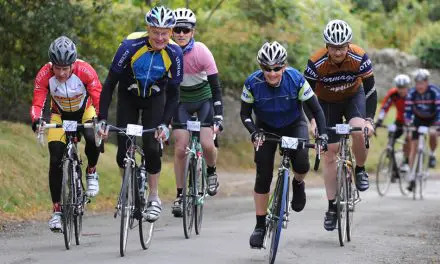 Whilst it’s not a particular challenging ride for experienced sportive riders, it’s aim is to introduce cyclists to sportives and at 31-miles & 47-miles, this is a great beginners sportive. Both of the longer routes circle Macclesfield and take in a significant portion of the West Peak District, known for it’s lumps and bumps, along with stunning scenery. This looks to be a great sportive and one that I’m looking forward to. 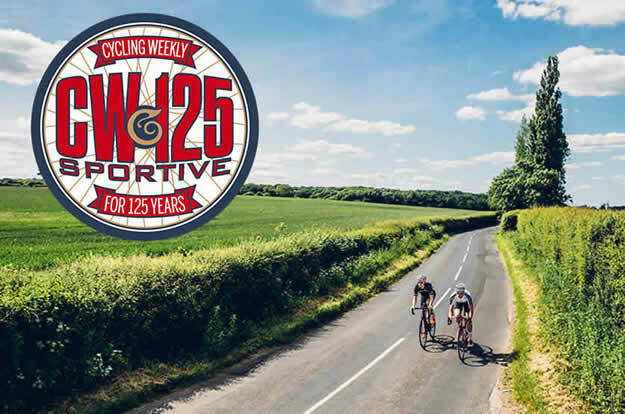 The CW125 Sportive was originally organised to celebrate the 125th anniversary of Cycling Weekly – I bet you didn’t know it was that old eh? The ride starts and ends at Oulton Park Race Circuit and includes a timed lap for those competitive types. This is a late summer / early autumn sportive and most riders should have their full fitness by now so there’s no excuse for choosing the short distance, all you have to do is decide on the 80m or 125m route. For those selecting the longer distance, the route will take you into Delamere Forest, which may offer some cool cover should we get a late summer. The Standard and Epic routes share much of the same route, which include views of North Wales, the River Dee and much of the Cheshire countryside. However, don’t get too settled as there is a sting in the tail of this ride – Mow Cop. Yes, the classic killer mile makes another appearance in a Cheshire sportive. I’ve published a more extensive write-up of the CW125 Sportive if you’re interested in doing this event. Last year’s event was one of my favourite of the year and I’ll certainly be looking to do it again this year. Some Sportives come and go, for a number of reasons. Some lose the support of the organisers, whether this be commercial support or that of the numerous volunteers that go into making these cycling events a success. Some Sportives aren’t quite good enough to capture the interest of local cyclists and some are affected by adverse weather or there is a clash of dates with another event. I’ve listed previous Cheshire Sportives below as I want to keep a record of these sportives. I also want to utilise the routes as many have good local cycle routes which can be used regardless of the sportive taking part. Climbing: 2,500 ft on 60m route Ride Profile: Rural country lanes. The Torelli Mini Cheshire Sportive is a winter warmer event and is usually my first sportive. It is well organised on the day but a response to questions prior to the event was slow. Team Torelli, as they like to be called, don’t have a website per se but instead have a series of web pages to each of their various sportives. It’s not easy to find information on the various events but the ride itself is a good way to start off your sportive season. The East Cheshire roads are not of a good standard and I found them to be rough and littered with potholes. Combine this with the to be expected, wet and icy roads and it means this isn’t a ride for the fair-weather cyclists. There are just over 200 cyclists which makes it quite a thin field over 60 miles. Having said that, having done it a few times, I would do it again as it’s always good to have an early sportive to give your winter training a focus and the route was a lovely ride through the Cheshire countryside, as always. From Poynton, the route heads out towards Woodford and then on to Alderley Edge via Mottram St Andrew. It then takes a familiar route to Jodrell Bank across roads with no elevation to speak of. In fact, the whole of the 60m, or 100km if you prefer, includes just 2,500 ft of climbing. From Jodrell Bank, there is around 5 miles due West, 5 miles due South and then a pleasant ride through Twemlow Green, Kermincham and Marton before the ride home North. This final 15 mile stretch runs West of Macclesfield, through Prestbury (try not to upset the local gentry) and Adlington before arriving back in Poynton. My Strava ride shows that I did this in under 4 hours at an average of 15.7 mph. On the slow side for me but it probably reflects that it was my first long ride of the year and I’d probably ridden less than ten rides so far this year. Climbing: 2,200 ft Ride Profile: Rural. Country Lanes. The Polocini Winter Sprinter is very similar to the Torelli Mini Cheshire Sportive in that it is a winter warm-up ride through [mostly] the same Cheshire country lanes, over the same 60m distance and the same gentle climbs. However, the Polocini is probably better organised and certainly has better food. The event is limited to 300 cyclists, which makes it an uncluttered field and one that is unlikely to upset too many of the Cheshire gentry. Climbing: tbc Ride Profile: Rural. Country Lanes. The Jodrell Bank Classic Sportive is another ride organised by the Team Torelli Cycling Club in Cheshire. These first three Sportives are all aimed at getting you from the sofa to the saddle and certainly help to blow away the cobwebs! There are two routes, one of 50m and the other a slightly longer stretch at 80m. I haven’t yet had sight of the routes, nor the elevation, for this year but I suspect they’ll be the same as in previous years. I will publish routes, maps, GPX files etc once I have them. Previous routes incorporate the beautiful Cheshire B-roads, so this would be a Sportive I would recommend. I’ve completed each of the early season Torelli & Polocini winter sportives and whilst the routes are pleasant, it very much depends on the weather as to whether it’ll be enjoyable. Last year was rained off for many of us as the conditions became quite concerning. The Bollington Bikefest is organised by the Macclesfield & District Lions Club, Bollington Town Council and Girl Guiding Cheshire Border. The sportive is a charity bike event in aid of East Cheshire Hospice. The Bikefest incorporates three routes; a 20km Twenty is Plenty fun ride which encourages less experienced cyclists to raise money for the charity, a 40m short sportive route and a more challenging 75m long route. Don’t be too fooled by the shorter distance as this includes 3,100ft of climbing, which makes it a great option for cyclists looking to push themselves beyond what they perhaps normally do. The standard sportive distance of 75m is definitely for the more experienced cyclist as it includes 7,800ft of climbing. The short route leaves Bollington and heads North towards Whiteley Green before heading West to Prestbury and Over Alderley. At this point the route goes South through Henbury, Gawsworth, North Rode and Key Green. Shortly after this, you’ll reach Timbersbrook and will have completed around 20 miles, all on the flat. This is where you’ll see your first climbing, approximately 500ft over 3 miles so nothing too taxing. Your reward however is the feed station, in and around Rudyard. The first half of this ride takes in just 1,400ft of elevation, with the return journey slightly more at 1,750ft. The Bollington Bikefest organisers have tried to include something for every typre of cyclist and the Grimshaw Grueller is their contribution for the more experienced cyclist. It covers more miles, has more hills, more counties (Cheshire, Staffordshire and Derbyshire) and tons of climbing, almost 8,000 feet. However, don’t be put off too soon as many of the hills are below 6% gradients so if you can do the distance (just over 115km) then you can do this ride. Just to set the scene from the start, the route heads North out of Bollington and then through Pott Shrigley and onto the first climb, around Rainow with a 600ft climb over 2 miles. It’s always good to get a warm-up early on a ride! From there its downhill for 8 miles through Wildboarclough, Allgreave, Wincle and Danebridge before two small climbs at Meerbrook and Upper Hulme, and then onto the feed station at Rudyard (same feed stop as the short route). The first part of the route covers less than 3,000ft but you may want to grab your breath before heading off as the second part includes just under 5,000ft of climbing, with no less than 6 hills. From Rudyard, you follow the same route you took earlier until you reach Allgreave, and from there you head East towards Buxton, taking in two gentle climbs. From Buxton, the route weaves around Errwood reservoir and climbs alongside it until you reach the A537. The final 10 mile section is a gentle underlating meander on Cheshire country lanes until you return to Bollington and the well-deserved congratulations from the waiting supporters. The Grimshaw Grueller route looks a good one and will definitely be on my list, although the date clashes with a few others so I’ll have to decide later in the year. This is a charity sportive ride around West Cheshire, which starts and finishes in Upton, Chester. This event is run by volunteers and after set-up costs, all entry fees go to Life NoW, the charity that aims to build a hospice and respite centre for the North-West and North Wales specifically to cater for teenagers and young adults. The ride coincides with the Ride of the Roses sportive, which is the one I’ll be doing but this is for a good cause so well-worth considering. Given that this is organised by the Team Torelli Cycling Club and is a Cheshire Sportive across the county’s countryside, it is perhaps unsurprising that the Jodrell Bank Classic is very similar to both the Torelli Mini Cheshire sportive and also the Polocini Winter Sportive. Regardless of the similarities, it is still worth doing this ride, which is slightly more expensive than the others, for some unknown reason. The first part of the course is flat, which allows the legs to warm-up as you ride along the Cheshire country lanes. As the name suggests, you’ll soon find yourself alongside the famous Jodrell Bank Radio telescope, which you pass on both the way out and the way home. Whilst I’d categorise this as a typically flat Cheshire sportive, there are a couple of lumps towards the end and as such, it can be seen as a natural progression on the previous two rides. The main culprit is the Pott Shrigley climb after Bollington, which climbs steadily up past the village and golf course, just what you want at the end of a ride! The event sees around the same number of cyclists as the previous two events but as this is slightly later in the season, you may see more riders. The Wiggle Along the Border ride starts at the Countess of Chester Health Park in Chester and both rides set off along the same route, towards Wrexham, before splitting just north of Whitchurch. As the name suggests, this is a wiggle along the Cheshire & Welsh borders, with riders crossing the border six times. The route passes through Marford, Gresford and along the outskirts of Wrexham. After this it goes through Bangor-On-Dee before returning towards Chester at the 35 mile marker. On the return, all rides join together and riders complete the ride on the same route, which passes through Oldcastle Heath, Shocklach (second feed station), Farndon, Holt and finally Lavister, after which there is a further 10 miles before returning to the Countess of Chester to finish. I’ve uploaded the GPX file to Strava (link to Strava) and as you’ll see, the route is straightforward and whilst the 62m ride has 2,600ft of elevation, there’s nothing too difficult and nothing much uphill after the 40m mark. Insurance is not provided on this sportive. I liked the idea of riding in and out of England & Wales and it was fun to see the border signs several times but after that, there’s nothing special about this ride or route. At £33 it’s too expensive and isn’t worth it – we didn’t even get a goody bag at the end, which is somewhat surprising considering Wiggle must have good links to the leading nutrition suppliers. The route was pleasant but the poor road surfaces meant riders spent more time looking down at the road rather than admiring the countryside. It’s not a ride I would do again. This is actually an Audax (long-distance road cycling event in which participants must navigate a route within a specified period of time) rather than a sportive but nevertheless, it’s an organised cycling event so I’ve included it. At just 85-miles (136km), the Panorama Prospect is one of the shorter audax rides, and as such, makes a good introduction to Cheshire audax for those looking for something different to sportives. Starting from Willington Hall, near Chester, the route takes in five controls (to demonstrate that you have completed the required distance) at Prospect Tea Rooms and Chirk, plus 3 information controls. After leaving the Willington Hall country house hotel, riders cycle through beautiful Cheshire lanes and Welsh foothills. It’s a scenic route with just one significant climb. The Wiggle Cheshire Cheetah isn’t a sportive I’ve done before and there are few reviews elsewhere of others that have so it’s perhaps a new one for 2017. I have however done the Wiggle Along the Border and was unfortunately disappointed with it. That won’t put me off and as it doesn’t clash with any other sportive, I’ll probably try this one in June. There are 3 routes to chose from; a short 50m, great choice if you are new to sportives, standard 70m and a full 100m Century. Given that this is a summer sportive, it’ll be either the 70m or 100m, depending on what else I’m doing that month. Before you commit to a challenging 100m, you may want to bear in mind that this sportive includes one of Cheshire’s finest climbs, Mow Cop and one of the Peak District’s highest hills too, Fiddle Road. I can’t find any GPS routes and so haven’t got a handle on the amount of climbing, gradients or elevation yet. This sportive will be a challenging one but nothing too difficult for regular cyclists. This part of Cheshire, especially in the summer, is beautiful so you can expect a great day out, on your bike, surrounded by other cyclists. Perfect. Olympic legend, Sir Chris Hoy has joined forces with Evans Cycles to create the Hoy 100 Sportive. This is a ride around the Cheshire countryside with a choice or 100km or 100 mile routes. Cyclists congregate in the Arley Hall Estate before setting off on one of the two routes. The 100km route follows local country lanes, taking in Dunham Massey Deer Park and Tatton Park before returning to the Estate. Cyclists looking for a more challenging route have the option of the 100 mile route, which takes riders to the edge of the Peak District. 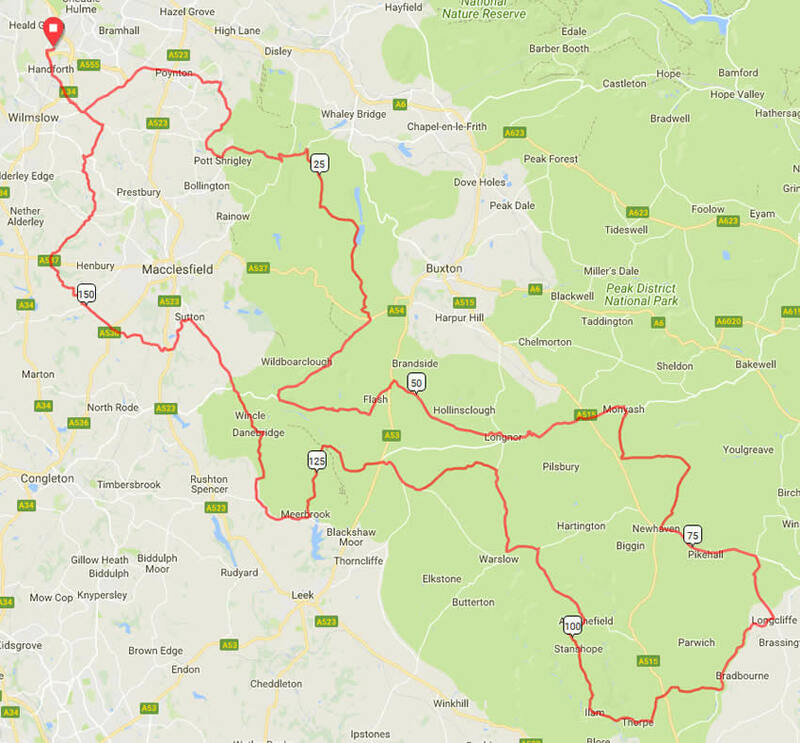 The longer route also adds a few more climbs, including some challenges through Macclesfield Forest before starting to head back past Alderley Edge and then a relatively fast and flat section across Cheshire and back to Arley Hall Estate again. The Evans Cycles sportives, just like those of Wiggle, are some of the more expensive. At £35, they are becoming quite expensive, especially if you are like me and do plenty of sportives each year. The Rise Above Sportive is one that has been devised by Tour de France supremo, Mark Cavendish, and perhaps unsurprisingly, it’s tough. As sportive distances go, the routes are standard at 50m, 75m or 100m but just take a look at the climbing; 2,100ft, 5,850ft and a whopping 8,450ft on the 100m ride. The routes take cyclists across Cheshire, around Chester and into North Wales which takes in scenic forestry roads, breath-taking views and iconic Welsh landscapes. This sportive is certainly going to challenge most cyclists, with tough climbs and energy-sapping elevations but one that will also bring plenty of reward too. So all that’s left, is to choose which route to do. This will be my first involvement with this event, which looks to be well planned, with plenty of on-site support and an extensive list of features, including mechanical support, full route marking, public liability insurance for cyclists, free SiS nutrition product, on-site catering, emergency support, gift bags, post event massages etc. This year I’ll be doing the 75 mile (120km) route as the near 6,000 ft of climbing will be the most I’ll have done in a single ride. The distance will be fine but I’m certainly challenging myself on this one. There are a number of SIS sponsored feed stations on this sportive, all of which will be clearly marked and sign-posted with 500m to-go warnings. As you can see from the table below, they are evenly spaced out and strategically placed at distances where they’ll be needed. The feed station on the 50m route is positioned at the highest point on this route and as such, it’ll be all downhill after your rest stop. The first feed station on the 75m and 100m routes is also at this point but as these routes are more challenging, there are three higher peaks than this, including two category 4 and one category 2 climbs. The second stop on the 75m route can be found after all the main climbs, and whilst there is still a small category 5 to go, it’s pretty flat on this route after this second feed station. This is also the third stop on the 100m route. The second feed station on the 100m route is located in the dip between the two main climbs, and comes after 54m, so just under halfway to go. Climbing: unknown Ride Profile: Rural including Mow Cop. The Cheshire Cheese Chase isn’t some weird Cheshire ritual, it’s simply a ride through the Cheshire dairyland. There are two or four routes, depending on how you look at it. The challenging routes are 50m and 86m long, both of which take in the infamous Mow Cop killer Mile, which for local cyclists, will need no introduction. However, for those that don’t wish to tackle this 25% gradient climb, there are two six-mile short-cuts. This early-ish season challenge is organised by Wirral Wheelers and is a loop that starts and finishes at Waverton, Cheshire. The route is generally flat and stays predominantly on the Cheshire lanes and minor roads. I haven’t ridden this ride before but it looks to be a friendly event, with refreshments on offer at each control point. Full route details will be available closer to the event. The Feisty Fifty is a 50km (hence part of the name) charity ride than takes in 2,000 ft of climbing (hence the other part of the name). It takes place in and around the Crewe side of Cheshire, although the route does dip into Staffordshire. The charity benefitting from this event is the Up and Under Foundation, which hopes each rider will be able to raise at least £25 for their good cause. The Foundation Ride is one of several rides taking place on this day in aid of the Up and Under Foundation. It is a lovely, albeit short, 30 mile ride around the Cheshire lanes, which passes through the pretty villages of Audlem and Wrenbury. As with the Feisty Fifty, the charity hope each rider will raise at least £25. Climbing: 3,300 ft Ride Profile: Rural. Country Lanes. The 2016 Pedal Power Salt Towns Shaker offers several routes but we are concentrating here on the 80 mile challenge. This route goes through the Cheshire countryside, with highlights including Beeston Castle and Delamere Forest. The Salt Towns Shaker starts from Marbury Country Park, near Northwich and takes in other historic Cheshire salt towns, including Middlewich and Winsford. Whilst other cyclists will be riding the 35-mile route, more hardy cyclists will take on the climbs around Beeston and Sandstone Ridge, as well as riding through the scenic Delamere Forest. All riders receive a goody bag at the finish in the Pedal Power Festival area where there will be food, drinks and cycling related stalls and activities. The RTPI NW Cycle Event isn’t one I’d heard of before putting this list together and neither the British Cycling or RTPI websites have much to offer in regard to further information. The ride date clashes with the Cheshire Cat event so I’ll be doing that one instead of this. However, I’ll edit this page once I get more info. The aim of the Cheshire Pedalthon charity cycle event to raise £10,000 for the Sale Sharks Community Trust in a single day. Whilst this is to be applauded, the entry fee is a whopping £100, which perhaps aims this event at businesses rather than cycling enthusiasts. The event is held on a Friday and includes “A fantastic new cycling and networking experience for the Cheshire and Manchester business community.” The event is limited to 400 places, which means that if they reach the maximum, they’ll raise £40,000 – won’t they? There’s no route, GPS or map available and so it’s hard to pass further comment on this ride at present. Climbing: unknown Ride Profile: Rural. Country Lanes. The Bob Clift Memorial has it’s roots back in 1986 and is managed by the Chester and North Wales CTC. There are two routes, one leisurely ride over 50m and a longer 100m ride, both of which take you though the beautiful Cheshire countryside. Both routes start and finish at Waverton Institute, Village Road, Waverton (near Chester, CH3 7QN), where there is ample free parking. The Wirral Ark Project is a registered charity that exists to provide accommodation for the homeless and the Wirral Ark Mow Cop Challenge aims to raise money for this worthy cause. I had the pleasure of riding alongside the event organiser, Ray Hellon, whilst participating in the Wirral Wanderer sportive earlier this year. The route covers 60 miles of the previously mentioned beautiful Cheshire countryside, taking in Jodrell Bank along the way. There is a small lump in the middle of the route, namely Mow Cop but you probably saw that in the name of the sportive. However, at just over 2,000 ft across 60 miles, it’s not a ride that you would call hilly. The event looks to be well organised event and whilst the entry fee isn’t the cheapest on this list, it’ll get you the following; hot drinks and biscuits at start, signage along the route, marshalls on Mow Cop, marshalling at key junctions, feed station, hot drinks and cake at the finish, support vehicle and apparently, smiley people! Ref Rise Above date:- you have Aug 27th but I suspect that this is incorrect. In 2015 it was mid August. It was moved to the bank holiday last year as Mark was in Rio with the Olympics. As such, it clashed with my favourite ride (the Wild Wales Challenge from Bala). When I queried this, I was advised by the Rise Above people that it would move back to mid August for 2017. But I cannot find any confirmation on their website. @Nic, we’ve reached out to the Rise Above team but are still waiting to hear back from them. Perhaps it’s cancelled this year? Hi Mark, I really appreciate your efforts in putting all this together – and also the Wirral/Liverpool one. 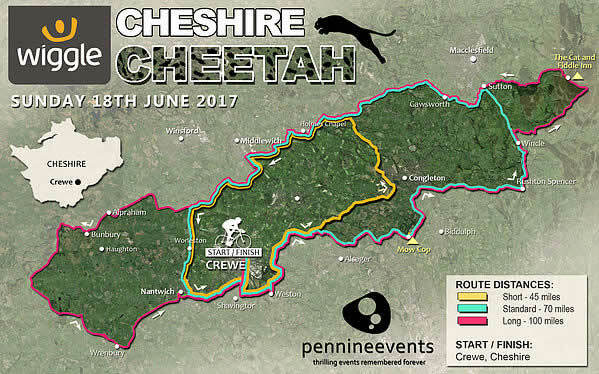 The Cheshire Cheetah info is now on the Wiggle website, with the Hoy 100 ride open for registration on the Evans Ride It page. @Neil, thanks for your comments. I’ve updated the page with the Wiggle Cheshire Cheetah and the Hoy 100 sportives. There is one feed station on the Cheshire Cat Sportive, close to the Cat and Fiddle pub. Thanks for listing our event you are welcome to attend on 9th September 2018. We’ve tried contacting the Organiser several times but they haven’t replied. It’s a late Sportive so they may not yet have confirmed it for this year. The previous Cheshire Rise Above Sportive has moved location and is now being held in Cheltenham. Hi Mark, Thanks for the great job promoting cycling events in Cheshire and for highlighting the Seashell Sportive. We are back on 15th Sept 19 for our 6th year. As you say, every penny of the entry goes to the Seashell Trust charity based in Cheadle, Cheshire. Thanks to the support of our riders, the volunteers who make it happen and promotion of sites like your own the event keeps growing year on year – 2018 being our biggest yet. To let you know we have added an additional 4th route of 75km this year – so we have something for everyone spanning very accessible 50km through to the properly challenging 170k EPIC, rated by British Cycling as ‘Grade 5 Very Hard’ The http://www.seashelltrustsportive.org.uk website is updated with 2019 details and entry now live with links through to entry page on the British Cycling website. If you would like to run a separate piece on the Seashell Trust Sportive let me know and we can provide you with the details. Regards, Ian. Thanks for the update Ian. I’ve updated the page with your amendments and will be in touch.